You're reviewing: Microsoft Office 2010 Home and Student Product Keycard License. Microsoft Office 2010 Home and Student Product Keycard License. All of your essential office applications in one package - this is what Microsoft Office 2010 Home and Student is about. This version of the universally-acclaimed productivity software introduces a vast array of improvements and new features to apps you know and love, as well as a modern revamp to the interface which will enhance your workflow process and provide you with the tools you need, when you need them. Web and mobile functionality now allows you to make the most out of every bout of creativity in and out of the workplace. And all of that begins with a simple activation via the Product Keycard License. Word 2010 assists you flawlessly with your reports, courseworks and letters. Excel 2010 transforms complex high-volume data into accessible tables, charts and graphs. PowerPoint 2010 unlocks your creative and artistic side, turning each presentation into a gem. OneNote 2010 brings the team together in virtual space, ensuring the perfect setting for your important projects. Utility and quality are just two of Office 2010 Home and Student’s strong suits. With the Product Keycard License, activating your Office suite is as simple as entering your product key - no discs, no waiting. Do note that your PC has to come with pre-loaded Office 2010 for the Product Keycard to work. Unique Ribbon interface - For all your productivity-related needs there Microsoft’s established Ribbon. After its introduction in Office 2007, the Ribbon comes back as a permanent feature in all your Office applications. It’s smart, effective and highly customizable, providing you with contextual tabs for specific tasks, an all-in-one place for every single formatting tool you have at your disposal, and lots of room for personalization to suit your own working style. Backstage view, mainstage presence - The traditional FIle tab is no longer in Microsoft Office 2010 Home and Student. Meet the Backstage, where you get the ultimate in document management. From regular tasks such as saving and printing, to elaborate options related to file protection, encryption, watermarks and even control of specific settings, the Backstage is where you set up and polish your documents without any limits. Effortless previews - Remember when you had to make effective changes to the styles, fonts and colors in your documents? With the new previews in the 2010 version of Office, you can mouse over the effects you have in mind without having to commit to anything. It’s as simple as that: the chore of the extra editing to get back to the original disappears, which means more time for creativity without consequences. Coauthoring platform - A completely new feature to Office, coauthoring makes simultaneous work on the same Word, PowerPoint or OneNote file possible. This happens through Microsoft’s SkyDrive, which is a free download. Coauthoring brings Office 2010 to a whole new level, eliminating the exhausting need of always keeping up with the latest version of a document. Additionally, it is a huge boost to productivity by immensely improving collaboration processes on important projects. Web and mobile apps - The quartet which serves as the flagship of productivity apps is now available on the Internet and on your phone. 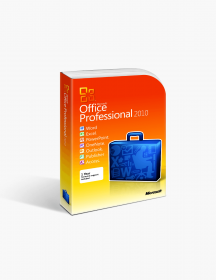 Microsoft Office 2010 Home and Student offers fully-optimized web and mobile versions of Word, Excel, PowerPoint and OneNote, giving you the freedom to work on multiple platforms. Major improvements across all applications - You won’t find an application that hasn’t been upgraded compared to its previous version in Office 2010 Home and Student. Ranging from SmartArt integration in Word, changes to accessibility in Excel, advanced video editing and a multitude of new effects in PowerPoint, and live editing in OneNote, the improvements in your preferred apps deliver on all fronts and then some. 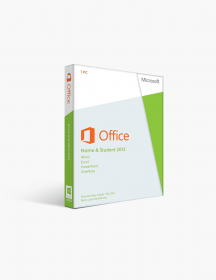 Why is Microsoft Office 2010 Home and Student Product Keycard License the one to buy? It’s the perfect office suite for education and everyday purposes, providing you with only the essentials for your tasks. This is the most basic option out of the three variants, but it offers the ultimate in productivity software for anyone short of big businesses. As mentioned, students will make extensive use of this versatile suite. Equipped with all the necessary tools for your academic milestones, Microsoft Office 2010 Home and Student Product Keycard License will be your resourceful and reliable wingman, no matter the assignment. 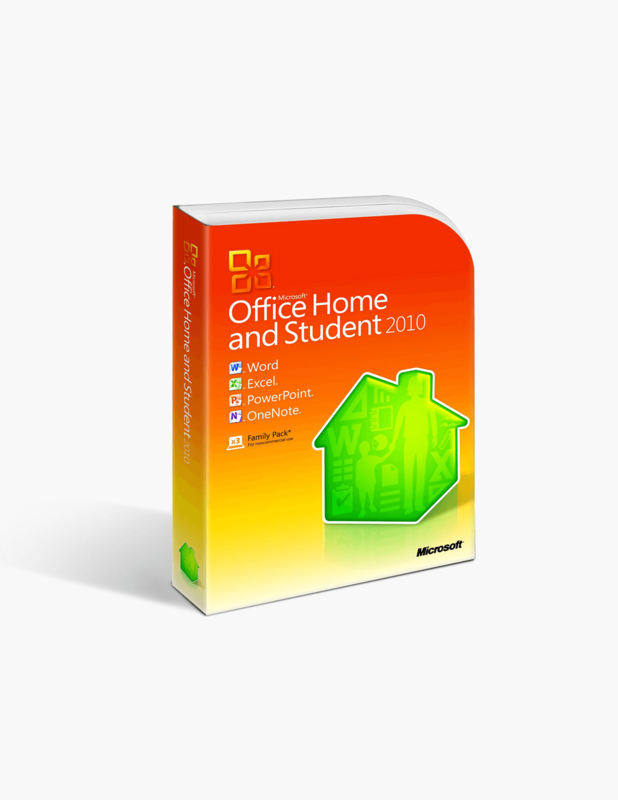 Office 2010 Home and Student is suitable for any type of work dynamic. Whether you’re a person working from home or one who doesn’t stop traveling, Microsoft’s new web and mobile apps make sure you can always open, edit and share your work no matter where you are. Microsoft Office 2010 Home and Student Product Keycard License is excellent for personal use. Applications are light on your PC and run lightning-fast with zero hiccups, even on weaker machines. Furthermore, the simplified Keycard activation process saves you valuable time, which you can spend on significantly more useful activities. And that’s what productivity is all about. These are minimum system requirements for installing Microsoft Office 2010 Home and Student Product Keycard License.